3-way auto-off technology provides extra safety even if you forget to turn the appliance off. Whether you leave it unattended on its soleplate, side, or heel, it will soon deactivate automatically. The iron might produce frizzling sound when you put it vertically. The T-Fal FV4495 Ultraglide iron is all about functionality, usability, and elaborate design. Being a corded model, it still can provide you with a great freedom of movement thanks to its 12-feet cord. 11.1" x 5.3" x 5.9"
Vertical steam option allows you to iron clothes made of the thinnest fabric without the need to touch it with a hot soleplate. Calc collector is detached with one movement for easy cleaning. The appliance is quite heavy. 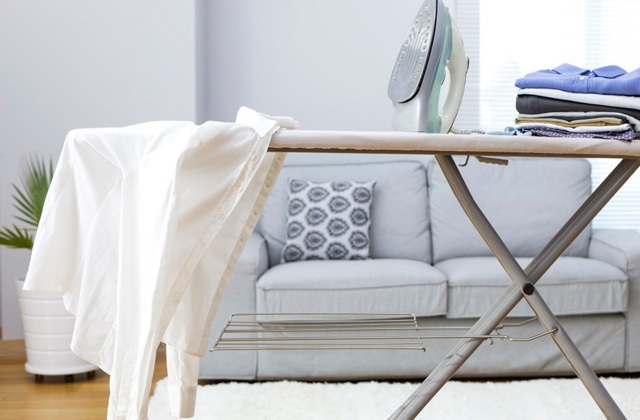 Do you need to handle heavy-duty ironing tasks often? Then, you'll hardly find a better model than this 1800-Watt T-Fal Powerglide. 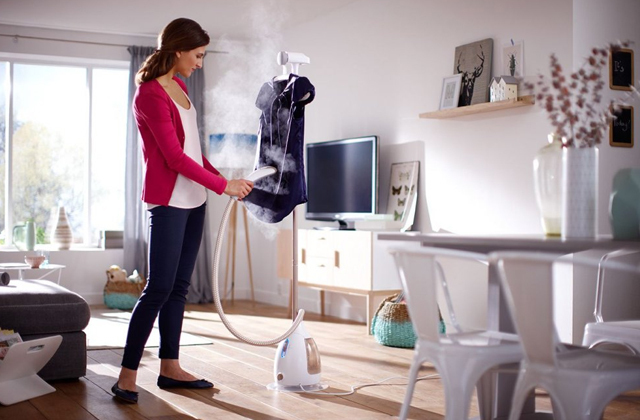 Powerful steam output will remove even stubborn creases in no time. 31" x 12.9" x 15.9"
Precision point tip can make the ironing process even more effective. It will help you handle wrinkles between buttons, close to zippers, and inside pockets with effortless ease. Some users claim the instructions aren't very informative. Featuring all great qualities you'd expect a Tefal steam iron to possess, this model will meet your home ironing needs. Powerful, convenient and safe to use, the T-Fal FV4017 won't disappoint you. 33" x 15" x 18"
Durilium ceramic of the soleplate provides even heat distribution and smooth glide no matter what kind of fabric you're going to treat. Pour spot is somewhat narrow. 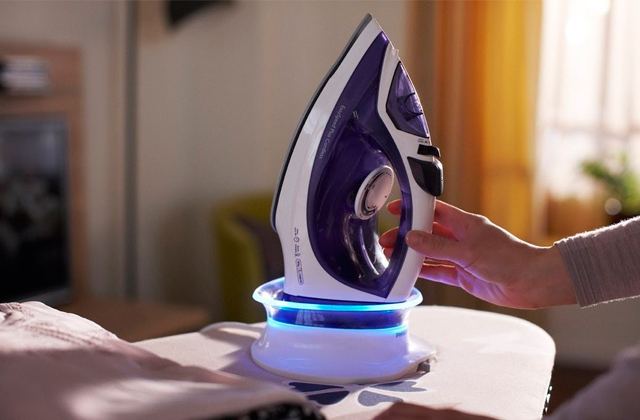 One of the most lightweight models manufactured by Tefal, the Optiglide appliance will make the ironing process not only effective but also hassle-free. Thanks to the power of 2400 watts, the appliance heats up to the highest temperature in seconds. Steam shot is also very powerful. Charging station takes a lot of space. This cordless iron is a great alternative to your old corded appliance. The double anti-drip system prevents leakage providing clean ironing. And thanks to elaborate design, it is convenient to use and store. 14.7" x 7.5" x 10"
When functionality, usability, and ergonomic design are at the top of your list, the corded T-fal FV4495 is just what you need. This powerful iron has variable temperature settings to handle wrinkles on thin fabric as well as creases on dense clothes. And to ensure even better performance, the manufacturer has equipped this model with Durilium ceramic soleplate. Thanks to this very material, the iron glides over any fabric smoothly making ironing an effortless process. Moreover, ceramic boasts great non-scratch properties and will serve you reliably for years. Speaking about the soleplate, we’d also like to draw your attention to the number of steam holes. There are 63 of them. They are distributed evenly over the soleplate to provide sufficient and powerful steam output of 100 g/min to smooth out wrinkles in no time. One more feature you’re looking for when choosing a steam iron is the safety of use, and this model from T-fal can provide you with extra safety. 3-way auto-off feature has three programs to protect your appliance and your property from accidents. If you put the T-fal FV4495 on its heel and don’t use it for 8 minutes, it turns off automatically. If you leave it unattended on its soleplate, it will deactivate in 30 seconds. The same will happen if you tip the iron over. Thus, you can have peace of mind even if something distracts you from ironing and you forget to turn the appliance off. In the modern world, design plays an important role no matter what appliance we buy. We often tend to choose not only functional but also attractive and convenient-to-use appliances, and the T-fal Iron Ultraglide can meet all these requirements. A soft grip handle allows you to hold the iron during the whole ironing process without the feeling of fatigue in your wrist, while every button and dial come with markings so using the appliance is intuitively simple. The power cord of this model deserves attention, too. It is extra-long and measures 12 feet, providing the user with freedom of movement. Some users might worry that a cord this long might get in the way, tangle, and be difficult to handle overall. However, the manufacturer has foreseen those concerns and thus supplied the cord with an Easycord exit feature, making this iron convenient to use and allowing you to prevent the appearance of new wrinkles on freshly pressed clothes. Finally, the T-fal FV4495 has great design. The combination of black and silver colors makes it look stylish and you won’t be able to resist buying such a nice helper. 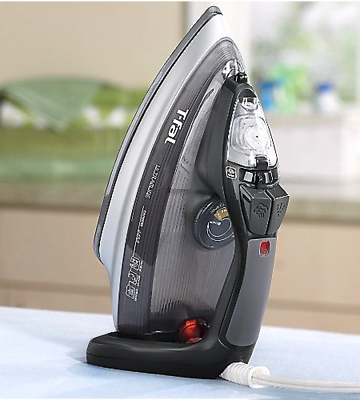 T-Fal FV-4995 Ultraglide Best Clothes Iron Reviewed ! Are you sick and tired of everyday ironing tasks that "eat" much of your free time? Perhaps, it’s time to substitute your old iron with the T-fal FV2640U0, a steam iron that's able to turn the ironing process into a fast and effortless process. 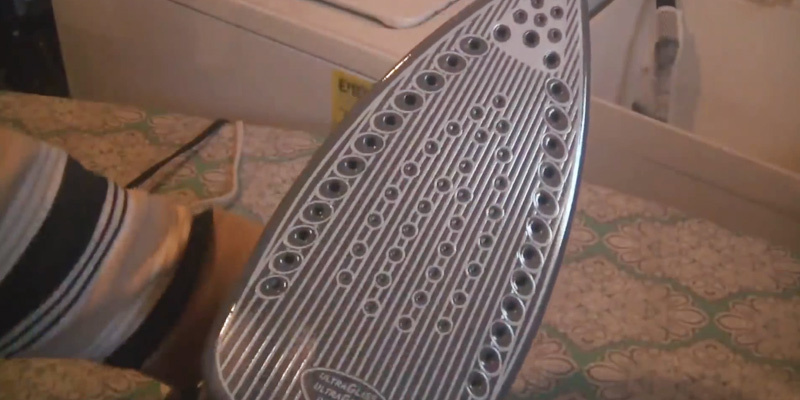 This has become possible thanks to the combination of 1800-Watt power and Durilium ceramic soleplate that not only provides easy gliding over any type of fabric but also offers a great range of temperatures and even heat distribution for perfect ironing results. 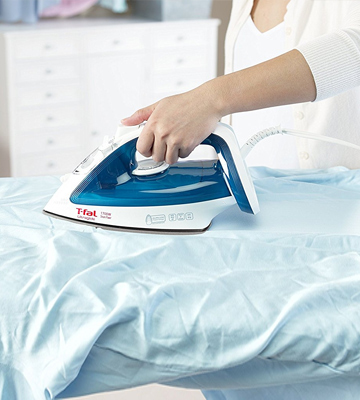 Another feature - and probably the most important one - which raises value of the T-fal FV2640U0 making it an irreplaceable helper in handling stubborn wrinkles on any fabric type is a steam option. High power of the iron ensures powerful steam output of 110 g/min that is emitted through 63 steam holes which are evenly spread across the soleplate to ensure uniform steam distribution and efficient de-wrinkling results. This iron also boasts vertical steam option that is a real catch for those who have a lot of clothes made of thin fabrics and need to treat them gently. With this option, you’ll be able to do light touch-ups before going to work/study and have neat garments in minutes. The water tank capacity of this T-fal iron is worth mentioning, too. At 9.1 oz it is one of the largest compared to the others produced by T-fal, which also means it can ensure prolonged use of steam without the need to add water often. It’s convenient to check the water level through a semi-transparent tank and refill it through a large water inlet. 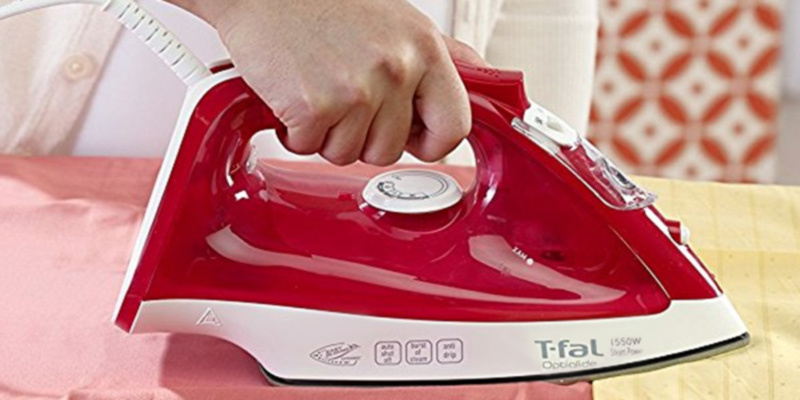 Regular cleaning of your T-fal steam iron is one of the main conditions of its long-lasting and proper operation. With the user in mind, the manufacturer has equipped the FV2640U0 model with three systems to make its cleaning as easy as possible. 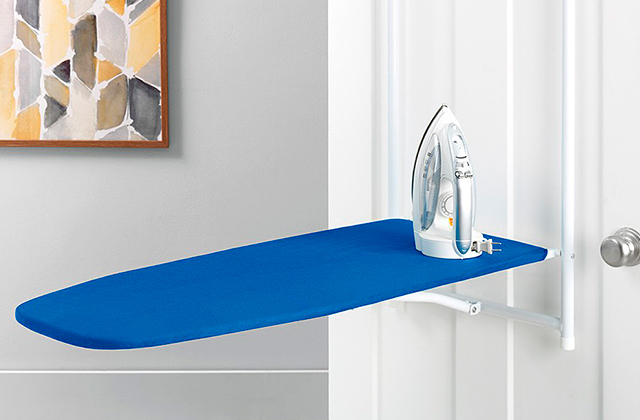 Anti-drip system protects the iron from leakage ensuring clean ironing. 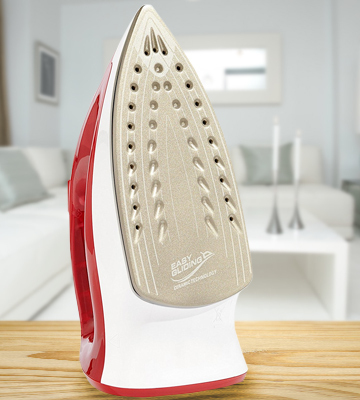 Moreover, it prevents steam holes from clogging up, thus, you won’t need to clean your iron frequently. There’s no need to explain the aim of calc collector, it’s obvious from its name. In the T-Fal FV2640U0, it’s placed conveniently on the heel of the appliance and is removed for cleaning with one movement. Self-cleaning system does all the job for you. When you decide to clean your iron, just press one button to remove scale particles and other dirt that might accumulate during the use. It’s recommended to carry this procedure above a bathtub or a sink. 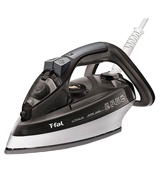 Perhaps, you won’t be surprised with the features the FV4017 iron from Tefal possesses, but it is still a good choice when it comes to handling most ironing tasks. Just like you'd expect from the company with the name T-Fal, the iron we've got on hands has a sufficient amount of power and is convenient to use. With 1700 Watts of power, the FV4017 heats up very quickly and is suitable for handling just about any fabric type, be it delicate silk or dense wool. The precision tip on the soleplate is a nice feature that allows smoothing creases and wrinkles in hard-to-reach areas such as between buttons, around zippers, inside pockets, etc. with the maximum effectiveness. Now, speaking of the convenience of use, we’d be remiss not to mention the fact that a water reservoir of this model is made out of transparent material which greatly simplifies the control over the water level of the device. What else adds to the usability of this iron are certainly its ergonomic design with a soft-grip handle and straightforward controls with clear markings, located right at your fingertips. Pressing a large button on the front part of the handle activates spray option. A bit lower, you'll find a switch that will allow you to regulate seam option by turning it on and off. In order to smooth stubborn wrinkles, the iron has a Turbo steam button which can be found under the handle right where you position your index finger. In addition to the mentioned controls, the FV4017 has a temperature regulator with clear markings showing what exact temperature settings should be used with this or that type of fabric. Before the first use, check if the voltage of a socket and the iron is the same. If it’s not, use an adapter, otherwise, it will cause damage to the appliance. Don’t let small children and disabled people use the iron without supervision. Never use the iron if its cord is damaged. It’s also recommended to avoid using an extension cord. However, it’s likely that you won’t need one since the length of the cord in FV4017 is 9 feet. 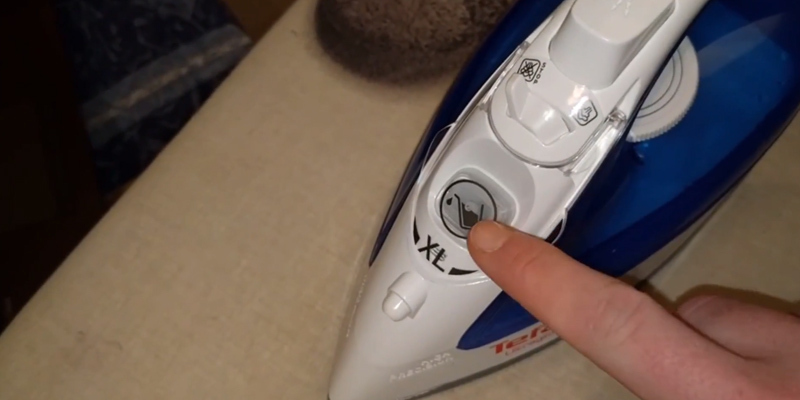 If you use steam option of your iron, make sure you don’t point the appliance at other people or animals. Always unplug the Tefal steam iron before refilling a water tank and cleaning as well as after each use. One of the characteristics we often pay attention to when selecting any type of appliance is its weight, especially so when it comes to home appliances that require manual handling. Admit, very few people enjoy an ironing process and even fewer of them would enjoy it if the iron they used was heavy and oversized. Which is exactly why Tefal offers you the model that weighs only 2.64 pounds, making it one of the lightest steam irons in their line so that you can actually enjoy ironing. 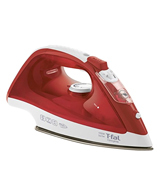 As for the iron’s specifications, the power of this iron is 1500 Watts which, while being lower a bit than in other Tefal models, is certainly sufficient for most domestic ironing chores. Similar to other irons, the Optiglide comes with a Durilium ceramic soleplate which ensures even heat distribution and smooth glideability over any fabric type providing flawless results every time. 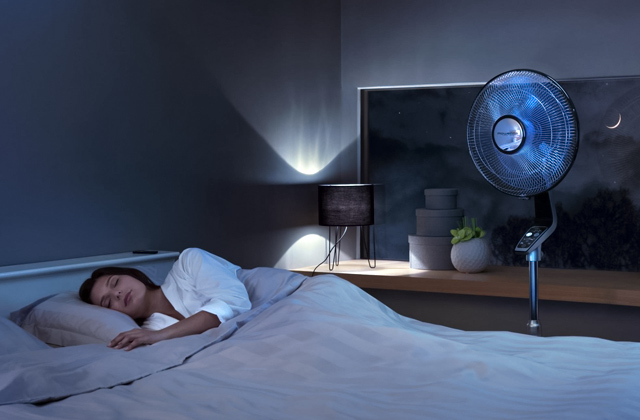 Also, it features a vertical steam option which makes it easy to banish wrinkles on clothes made of delicate silk and chiffon without touching them directly with a hot soleplate. Last but not least, we'd like to say a few words about the usability features that make this iron so comfortable in use. Along with a soft-grip handle that allows you to hold the iron in your hand for a prolonged period of time, the iron comes fitted with a long 9-foot power cord that provides flexibility and freedom of movement. Also, the iron boasts a self-cleaning system, which means the iron will clean the accumulated scale itself when the time comes. All these things considered, it is easy to see where we're going with these. If you need a reliable and inexpensive T-fal steam iron for at home use that would be easy and convenient to use, look no further. The FV1535UO Optiglide steam iron might be the best offer the market has to offer you at this price range. Although using a steam iron shouldn’t cause any troubles since it’s a part of everyday routine, it’s still recommended to pay attention to the first use in order to “calibrate” the iron to your needs. 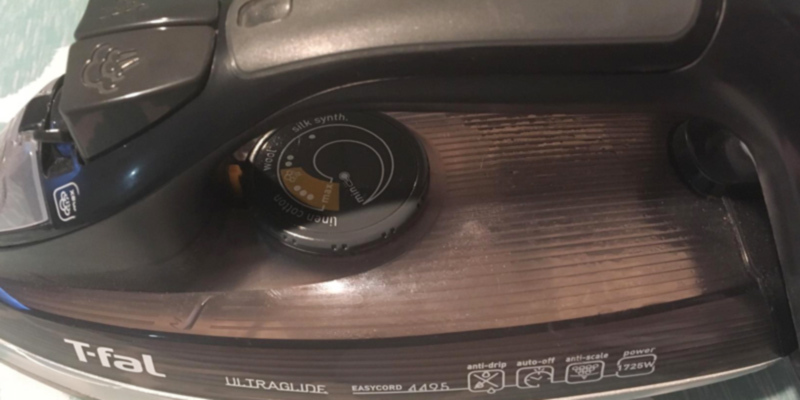 Before using the appliance for the first time, it’s necessary to remove all labels from it, especially the one from a soleplate (if there’s one). When all labels are removed, fill a water tank, plug the appliance, choose the highest temperature setting, and wait till the iron is ready to use. Push a steam button for several times holding the appliance in a horizontal position. Make sure it doesn’t touch your clothes yet. By doing so, you’ll be able to remove tiny dust particles that could accumulate during the iron’s transportation. Now, choose the necessary temperature setting and enjoy the operation of your new T-Fal steam iron. Please, keep in mind that new Tefal irons can produce unpleasant smell and smoke during the first couple of uses. But worry not, it’s a normal process of “calibration”. Smell and smoke are not harmful and will soon disappear. The Freemove 9990 cordless steam iron from Tefal is a powerful appliance that will make your ironing routine fast and effortless. Featuring the power of 2400 Watts, the iron can produce high temperature to remove even stubborn creases. However, if you need to handle delicate fabrics, you can choose lower temperature settings. The manufacturer recommends ironing fabrics gradually, from thin to thick ones. By doing so, you’ll provide proper iron operation and spend less time on choosing the necessary heat option every time. One more thing that allows the Tefal Freemove 9990 to handle wrinkles on different fabric types so easily is a steam option. Depending on your needs, it’s possible to use a sequential steam flow at 35 g/min rate or a steam boost option at 160 g/min rate. All you need to do to use one of these options is use an ergonomic steam trigger that you'll find on the handle right under your fingers. 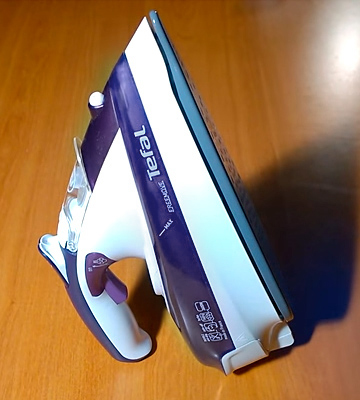 Please note that you can also use this iron as a vertical steamer to remove wrinkles from silk or other delicate materials. 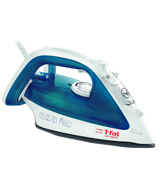 Steam ironing with Tefal is a fast and easy process thanks to the numerous steam holes that are located on the tip, sides, and heart of the soleplate. Just keep in mind that it’s important to hold the iron at some distance away from a garment in order not to spoil it with hot steam. 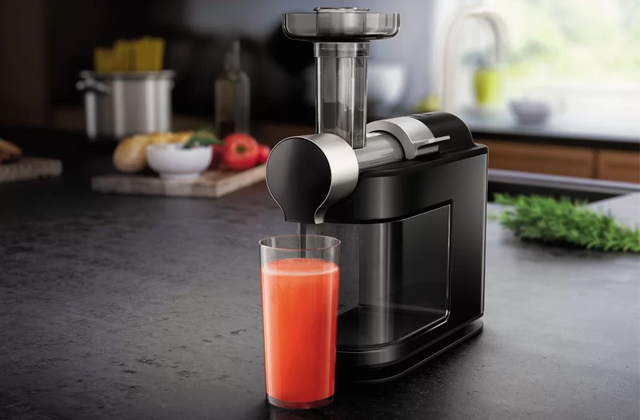 We’d also like to draw your attention to the fact that this iron has a very capacious water tank (8.5 oz) and an extra-large filling hole making the process of refilling effortless and quick. 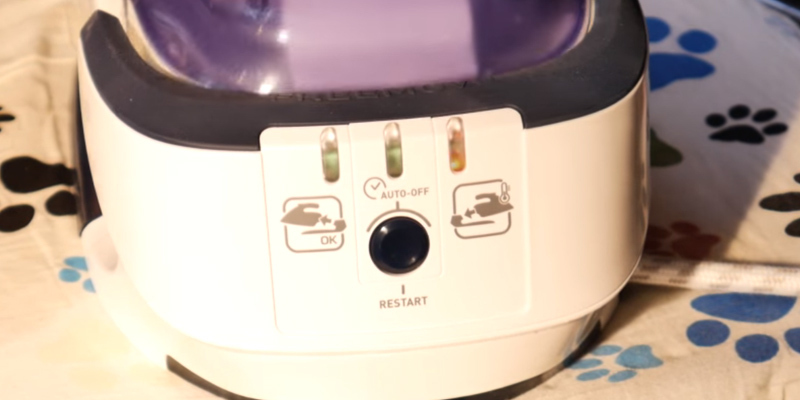 This also prolongs the time of using the steam option without adding water. In addition to great performance, the Freemove 9990 can please you with its usability. The first thing we'd like to point out is a quick charge. Only 4 seconds suffice to heat up the iron’s soleplate to the chosen temperature so you won’t wait for minutes till you can use the iron. The auto shut-off feature adds to the convenience as well as to the safety of use. With this option, you can have a peace of mind even if you ever happen to forget to turn the appliance off. A scale collector is another bonus that simplifies cleaning of the iron. Calc accumulates with time because of the tap water usage and can lead to malfunction of the iron, but with the scale collector you’ll get rid of excessive calc in no time. Finally, the double anti-drip system protects your appliance from leakage. Not only will it provide proper operation of your iron but also it will help prevent the appearance of dirty wet spots on your clothing while ironing. All in all, this Tefal cordless steam iron is a great combination of functionality and usability that won’t disappoint you. What Is a Tefal Steam Iron? Being one of the world-renowned companies producing kitchen and linen care appliances, T-fal doesn’t need to be introduced. Yet, we’d like to point out several things that, to our mind, make T-fal a worthy choice when it comes to buying a steam iron. It’s a well-known fact that the company became popular after the invention of non-stick coating. Although it was initially applied in kitchen cookware production, it also worked well in steam irons. All the soleplates of T-fal irons are made of ceramic that boasts great non-stick properties and slides over any type of fabric without pulling it. In addition to this outstanding feature, all T-fal irons provide great performance thanks to high power and steam output. The manufacturer has also done its best to provide the convenience of use of every iron, thus, supplied each model with a number of usability features such as vertical steamer option, auto shut-off, anti-scale system, and more. 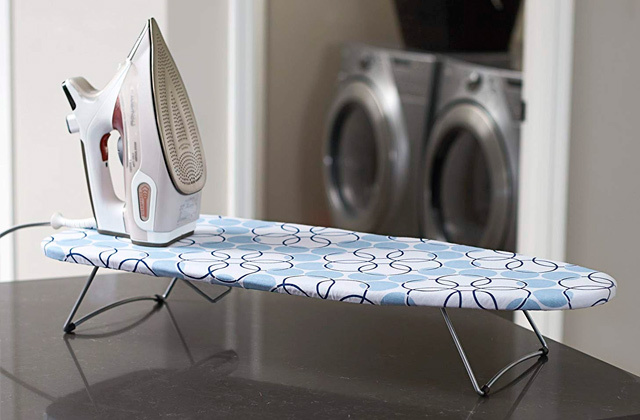 To make an ironing process more convenient and effective, you definitely need an ironing board. 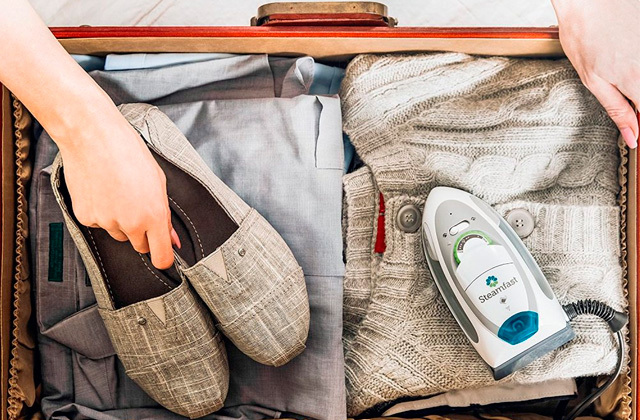 And if you travel a lot, you might need a compact and powerful travel iron to keep your clothes neat wherever you are. Type is the first thing you want to pay attention to when choosing a Tefal steam iron. The company offers you to decide between corded and cordless models. Corded irons provide constant heat-up and, consequently, the ability to do the ironing for as long as you need without interruptions. The length of a cord should be considered in a corded model. In Tefal appliances, it measures either 9 or 12 feet. As for cordless irons, they give you the freedom of movement but need to be recharged once a soleplate cools down. 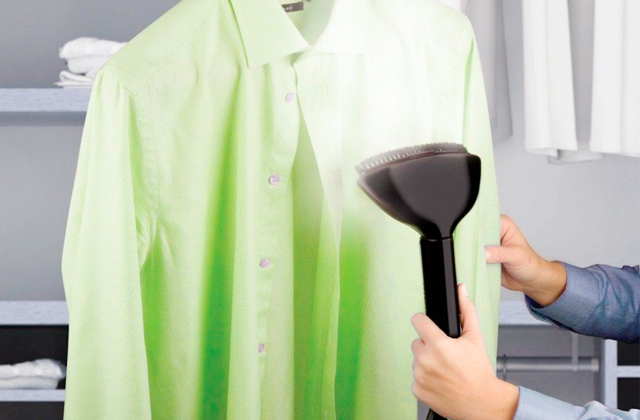 Good performance is the reason why you look for a steam iron. 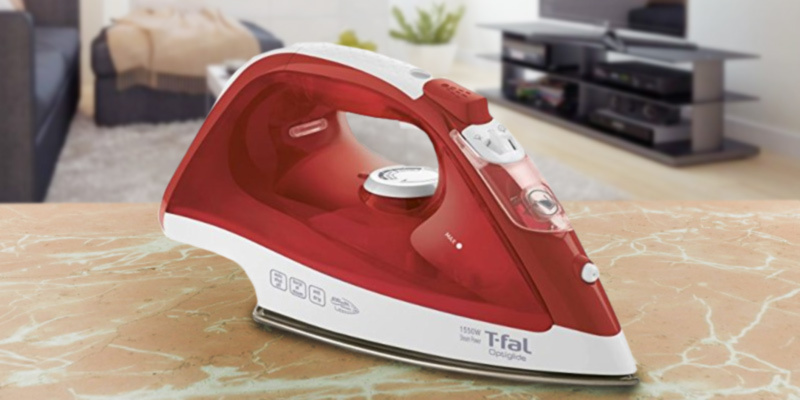 Take notice of power, steam output, and water tank capacity to understand how your Tefal iron is going to perform its main functions. The power of these irons vary from 1500 Watts to 2400 Watts, thus, provides great temperature ranges to handle any kind of fabric, be it silk or denim. Steam output determines the amount of steam produced at a time. In Tefal models, this amount is quite large in comparison with its cheaper and less popular rivals and ranges from 75 g/min to 160 g/min. 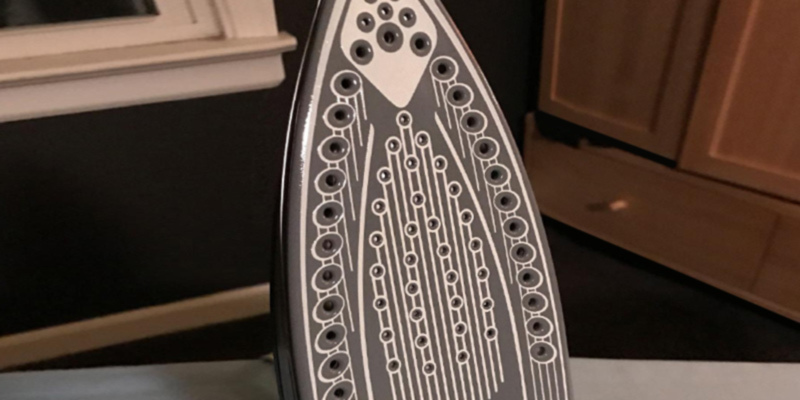 You might be interested in a number of steam holes on a soleplate of your iron, too. The more holes there are, the more steam is produced. You also want to be aware of water tank capacity of the model you’re going to choose to understand how often you’ll have to refill the reservoir. 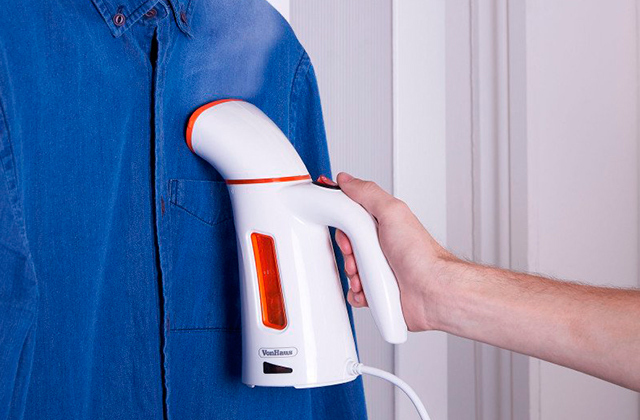 Vertical steam option allows you to remove creases and wrinkles from clothes that are on a hanger. This option is extremely useful if you need to handle thin fabric like silk. Auto shut-off is a guarantee of your safety. It turns an appliance off after some time of inactivity so you can have peace of mind even if you forget to unplug your iron. Anti-scale and anti-drip systems prevent a steam iron from fast scale accumulation and soleplate dripping correspondingly. But water still can lead to dirtying working systems even in the newest models, especially if you use your iron a lot. To make the maintenance of Tefal irons easier, the manufacturer has equipped a lot of its appliances with a self-cleaning technology and a calc collector. Everyone who has ever seen or heard T-Fal advertisements knows that this company is popular thanks to Teflon technology used in kitchen cookware manufacturing. But have you ever been interested in how this technology was developed? The T-Fal founder, Marc Grégoire, was a fisher and first used Teflon to improve his fishing gear. Then, his wife asked him to cover her pans with this material. As it turned out, Teflon had great non-stick properties that made cooking process and cookware maintenance easier. After this discovery, Marc Grégoire established Tefal company that penetrated the 20-century market successfully and still remains one of the leading cookware manufacturers in more than 120 countries of the world. In addition to being the first company that started applying Teflon in pans manufacture, T-Fal is known for other inventions. Thus, you’ve probably heard about its thermo-spot technology. It is a red dot placed in the center of a pan that serves as a pre-heating indicator to show you when your pan is ready to use. Once a pattern on the spot disappears and it becomes absolutely red, you can start using your pan. The company has also succeeded in manufacturing different cookware including pressure cookers, waffle irons, stackable utensils, deep fryers, steam cookers, etc. With the invention of every new model, the manufacturer was looking for ways to improve its production, thus, ActiFry and OptiGrill technologies were developed and applied in T-Fal cookware. 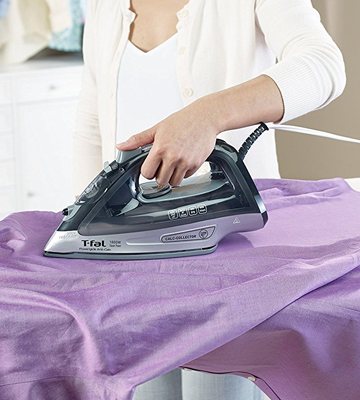 F-Fal steam irons are also popular appliances that can boast the combination of functionality and usability. Just like the cookware produced by the manufacturer, steam irons have non-stick soleplates to provide effortless gliding over any fabric. By the way, T-Fal was one of the first companies to think about the invention of the way, T-Fal was one of the first companies to think about the invention of a cordless iron. Always check the shirt’s label to know what temperature it should be treated with in order to provide effective ironing as well as prevent the fabric from damage. Undo buttons on your shirt for more effective and convenient ironing. Start ironing shirts (and blouses) from the collar, shoulders, and sleeves to handle the most difficult task at the beginning. Once these parts of your shirt are freshly pressed, ironing the rest of it will seem a piece of cake. Put your shirt on a hanger and do up a top button to prevent the appearance of creases. Q: How to clean a steam iron? How often should I clean my Tefal appliance? Always unplug your appliance and let it cool down before cleaning it. Remove calc collector and put it in vinegar for several hours. Push a self-cleaning button and let the dirt escape through steam holes. Wipe the soleplate with a soft damp cloth.It’s recommended to clean your Tefal iron once a month to provide its faultless operation. Q: What iron is better for home use – corded or cordless one? A: Both corded and cordless models from Tefal are powerful enough to meet the needs of home use. 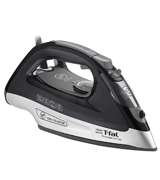 Even if you have a lot of ironing to do daily, the Tefal irons will handle heavy loads. As for choosing between corded or cordless type of an iron, it depends on your preferences. To learn more about the advantages of each type, check the What Features to Compare section above. 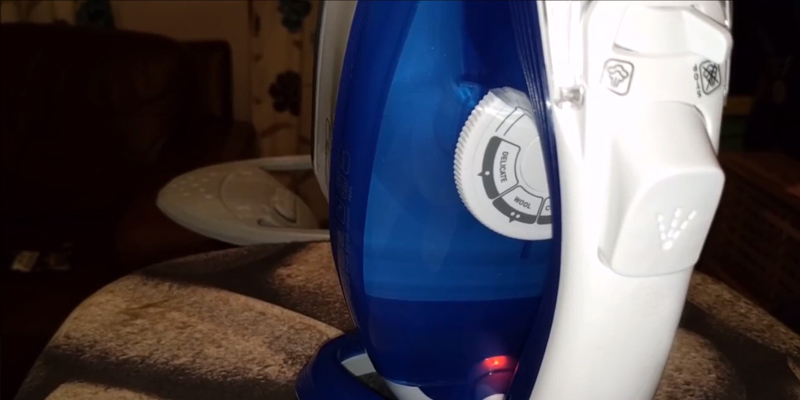 Q: Can I repair my Tefal steam iron on my own? A: It depends on the kind of malfunction you’ve faced. It might happen that your iron drips, brown spots appear during ironing, or steam option doesn’t work. To solve any of these problems, you can check a user’s guide that comes in the box and follow the instructions described by the manufacturer. If you cannot solve a trouble on your own, face another kind of malfunction, or some parts of your appliance are damaged, it’s better to take your iron to an official service center. Q: How often should I change water in a water reservoir? What water should I use? A: Water in a reservoir should be changed as soon as it ends. The reservoirs in Tefal steam irons are mainly transparent (or half-transparent) so it’s easy for you to control the water level. Even if you don’t see how much water is left, you’ll understand that it’s going to end soon when steam output becomes weaker. As for the type of water to use, the manufacturer recommends tap water. However, if tap water is too hard in your region, you can mix it with distilled one in 1:1 proportion to eliminate the appearance of scale. Don’t forget to empty a water tank after every use of an iron in order to prevent scale accumulation. Q: Does the weight of an iron influence its performance? I want a lightweight appliance to be easy to use. Will it handle heavy-duty ironing tasks? 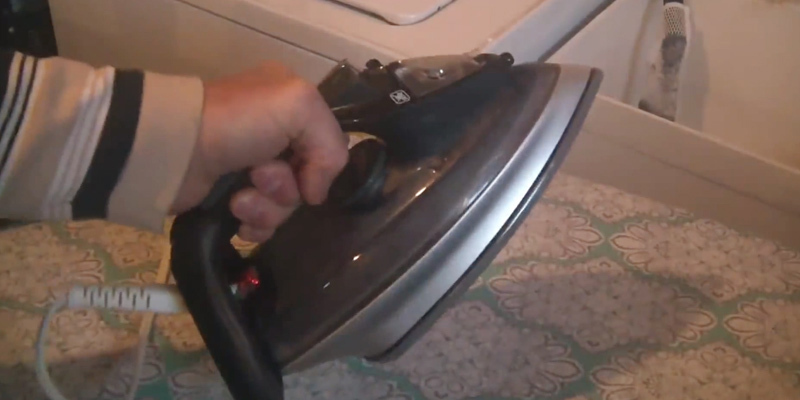 A: Performance of modern steam irons doesn’t depend on their weight. Thanks to great experience and innovative technologies developed by the manufacturer, T-Fal irons can handle different fabrics despite the weight of an appliance. Q: Is it possible to use my T-Fal steam iron without water? A: Yes, it is. 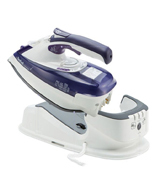 One of the main advantages of steam irons is that they can serve both as steam and dry irons. The T-Fal models aren’t an exception and if you don’t need to use a steam option, just leave a water tank empty. 1. Christina Woodger How to Buy the Best Steam Iron, Which? 2. 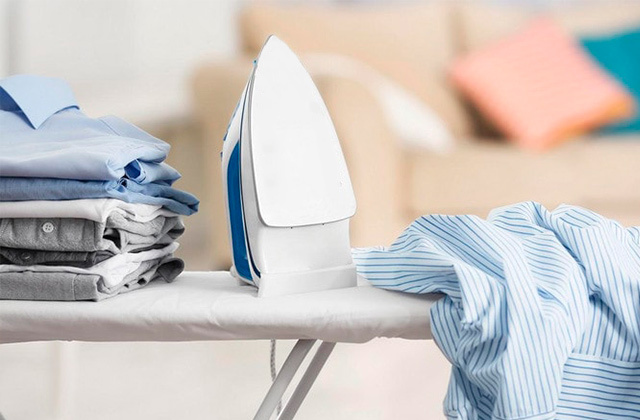 How to Buy the Best Steam Iron or Steam Generator Iron, Good Housekeeping. 3. Buying Guide: Irons, Harvey Norman. 4. Steam Iron Buying Guide, Consumer Reports. January 2017. 5. Clothes Iron, Wikipedia. January 30, 2018. 6. 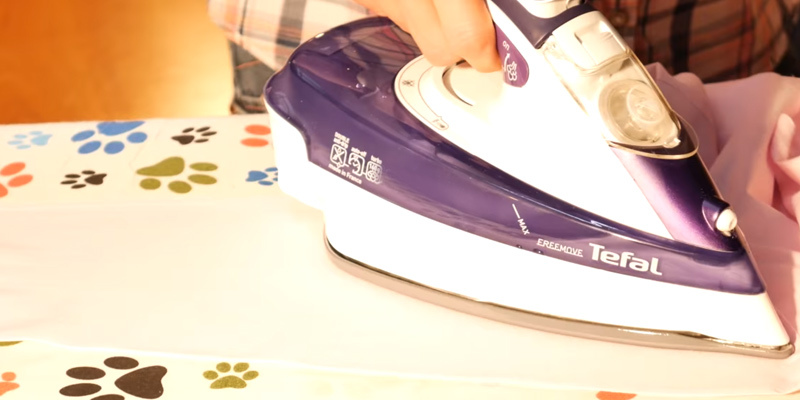 How to Clean the Steam Iron andIts Base Plate, wikiHow. 7. How to Clean Steam Iron, Medium. February 9, 2017. 8. Mary Marlowe Leverette How to Clean an Iron Inside and Out, The Spruce. February 26, 2018.